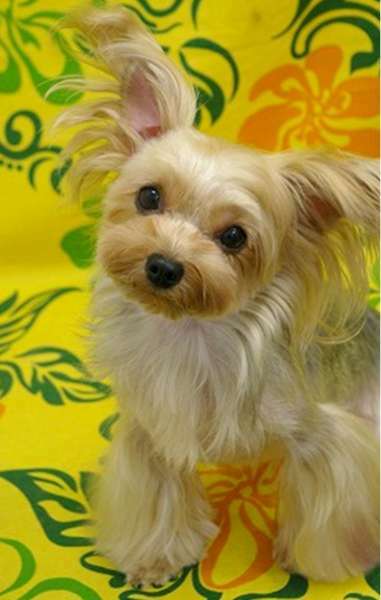 Here are some examples of different types of Yorkie haircuts. 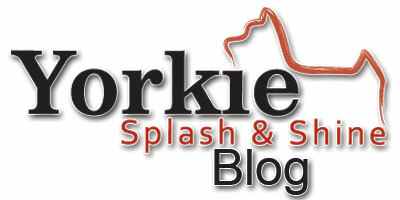 After taking a look at our hair styles, please take a look around our site! 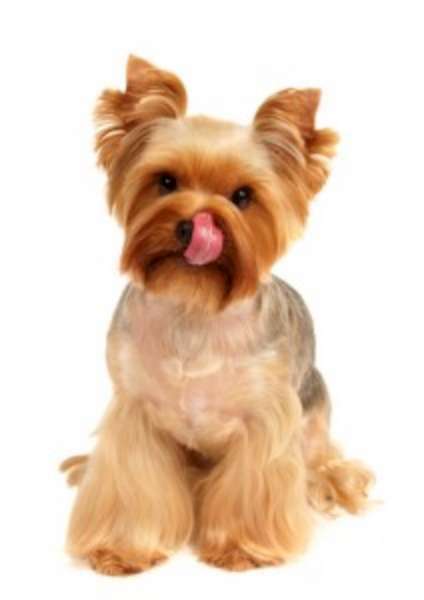 We make and sell organic grooming products for Yorkshire terriers! Make that new hair-do shine with Yorkie Splash and Shine! 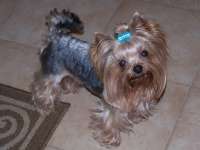 Many owners of pet Yorkies are always asking us about the best way to cut their Yorkie's hair. There are a LOT of options out there. 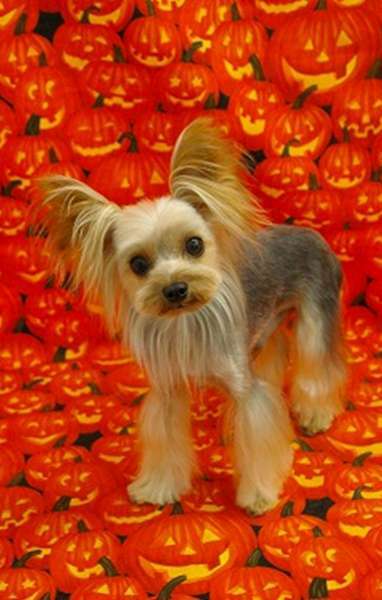 Just because your groomer doesn't know of many "cute" options doesn't mean there aren't any. 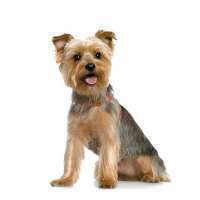 I have provided some pictures of different Yorkie hair cut styles so that you can show your groomer, or attempt the cut yourself. Please do enjoy. 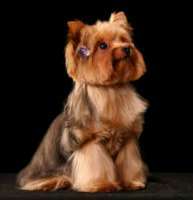 If you have any suggestions on hair styles, or if you have pictures you'd like to share, please email pictures to info@yorkieshampoo.com. 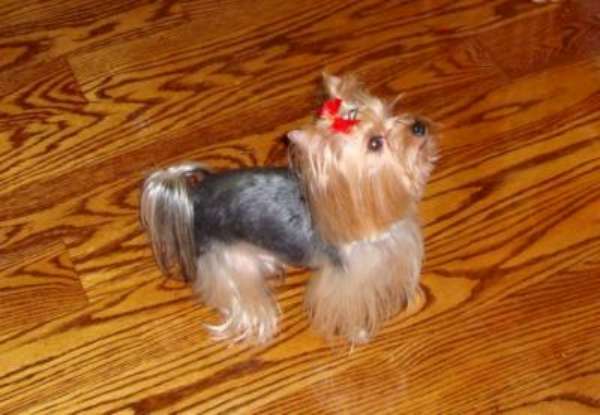 I would like to thank the great people at Yorkie Talk and Yorkie Kingdom for allowing me to use their pictures. 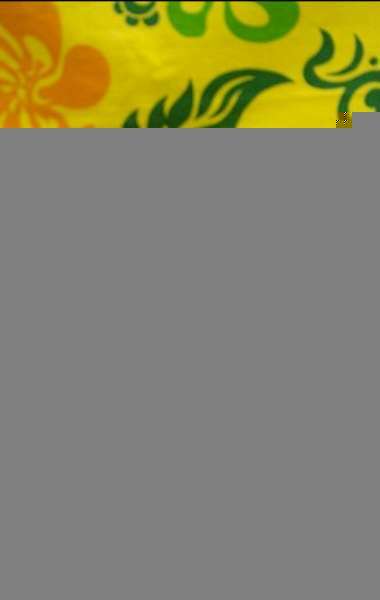 Click the images to view them in larger detail. Schnauzer Cut This hair style cuts off the "black" areas and leaves the "tan" areas on the face and legs. 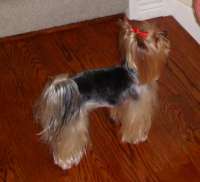 The hair on the face and legs can be trimmed to whatever look is desirable. Modified Schnauzer Cut With this cut, you trim the saddle very short, all the way to the tail, like shaving a strip down the middle of the back. You can modify the look to fit your tastes (i.e. leave the tail hair, do a variation on the face, etc). 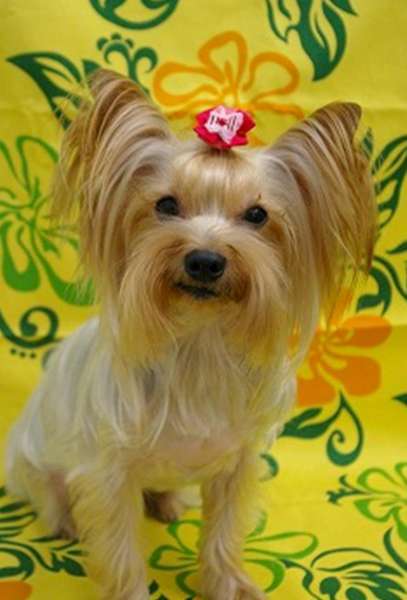 Westie Cut Trim the entire body and leaving the face length. This can be a trim that is a complete shave, or leaving the length a few inches. Puppy Cut This is what most people call a cut where the whole body is trimmed, but not completely shaved. It's like a modification on the Westie Cut. 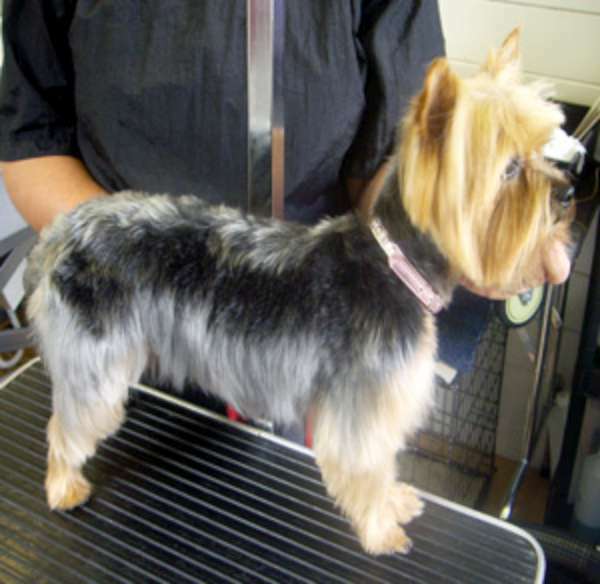 Chinese Crested Type Cut This is like the Schnauzer cuts, with more variations, leaving the bulk of the tail length. Designer Cuts These cuts are simply variations on the previous cuts. 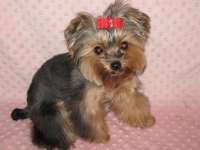 Feel free to be creative with your Yorkie's hair! More Designer Cuts These cuts are simply variations on the previous cuts. Feel free to be creative with your Yorkie's hair! To grow a great coat, here are some tips: first, a good quality shampoo like ours is a great start. 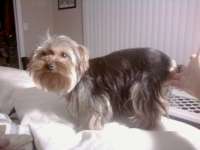 Never use a human shampoo / conditioner on your Yorkie. Always use conditioner after washing. 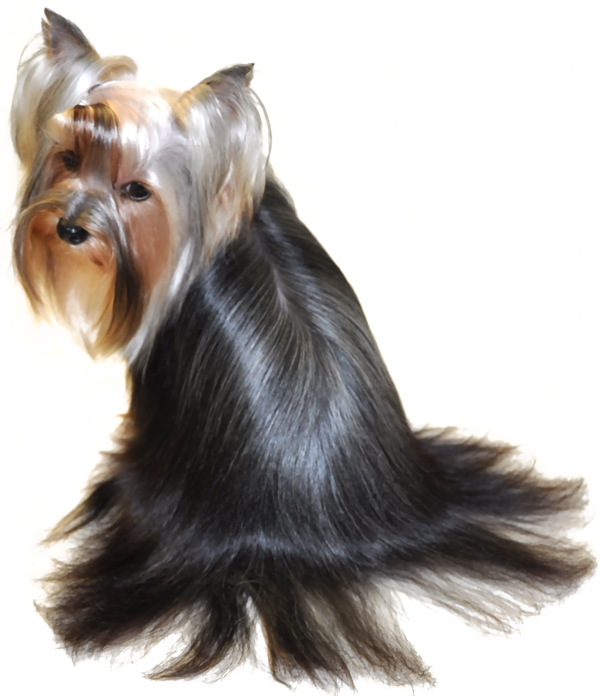 And, never brush the hair when the coat is dry – this can lead to breakage. Always use something to moisten the coat before brushing or combing - our detangling spray is excellent. :) Second, feed a quality diet. 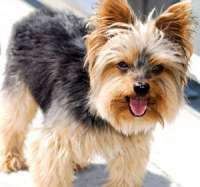 Look in to a high quality dog food such as Orijen, Innova EVO Small Bites, Nature's Variety Instinct (not rabbit), Wellness CORE, and Solid Gold Barking at The Moon as good foods. Another thing to consider is an Omega 3 supplement or a multi-vitamin with Omega 3's (if you feed a food rich in Omega 3's then you don't need an additional supplement - for instance "Taste of the Wild" in the blue bag - it's made with fish and has lots of Omega 3's).